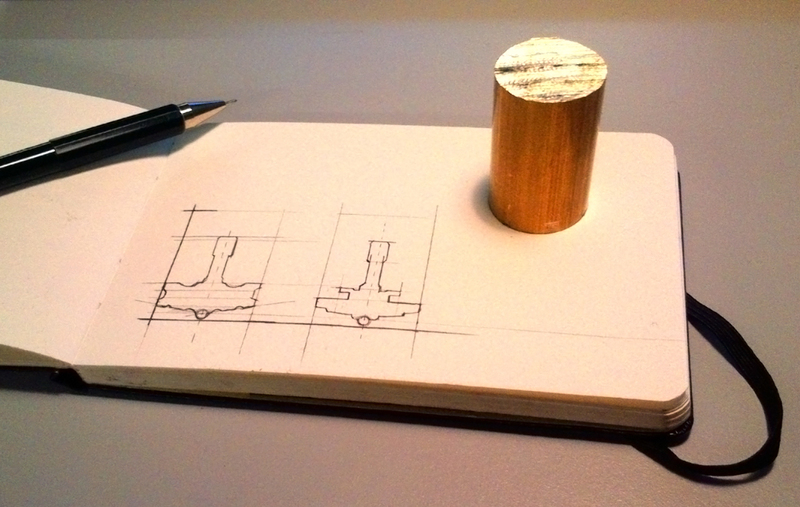 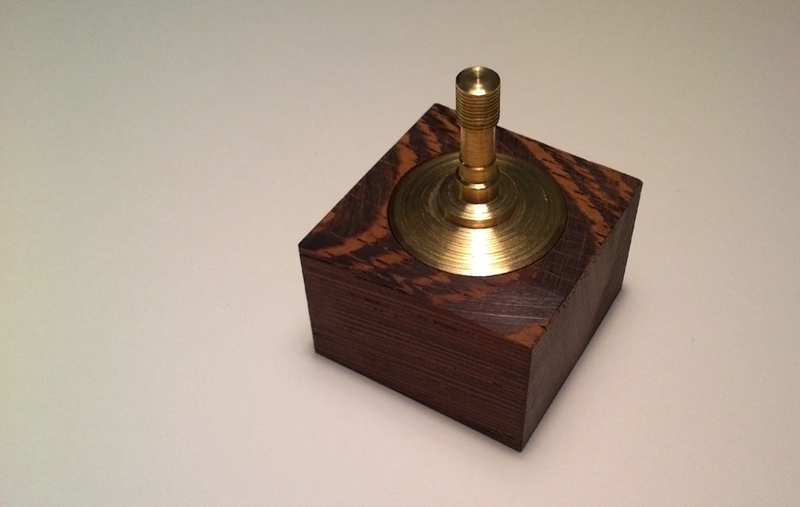 A limited Edition of 5 solid brass spinning tops – Ø25mm x 33mm in height – fitting into a solid block of dark exotic wood (Wenge) – 35 x 35 x 23 mm. 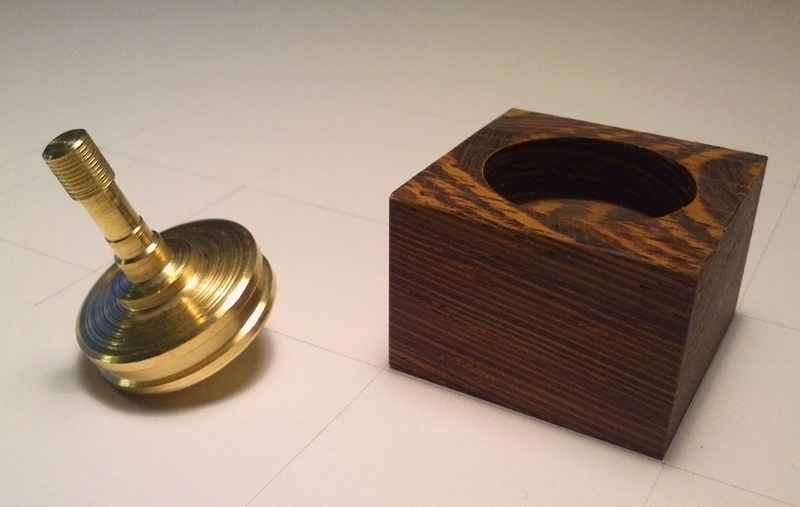 The finely textured dark wood contrasts the very even and shiny brass…but it also still looks good after years of gaining its distinctive brass patina…. 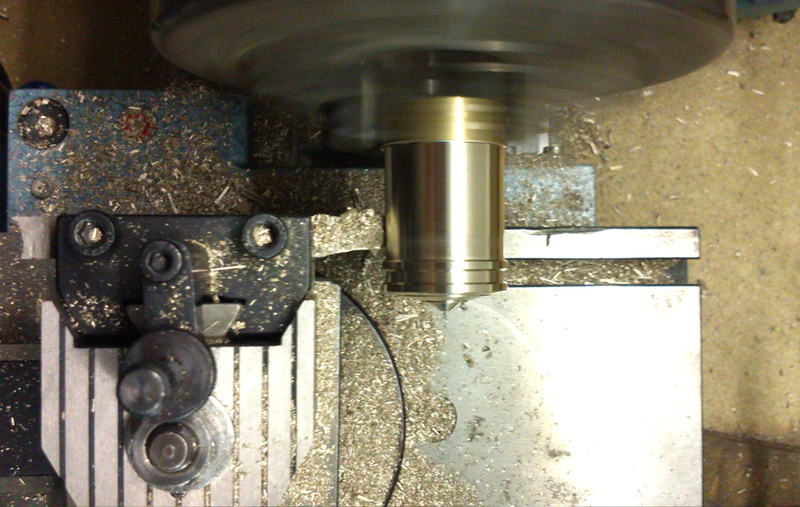 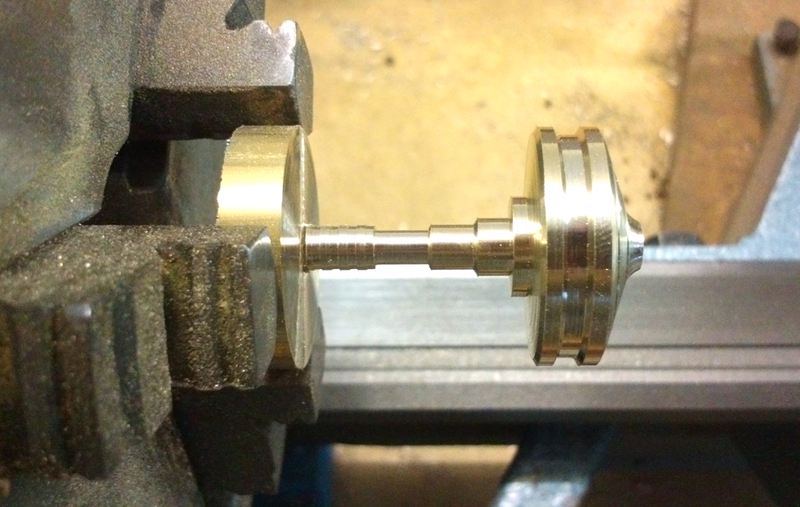 The spinning tops are manually turned out of a single solid brass rod and I then glued a ball out of a standard skateboard-bearing into the sunken hole on the bottom to guarantee for a super smooth and long spinning time (current record is 5 mins 24 seconds). 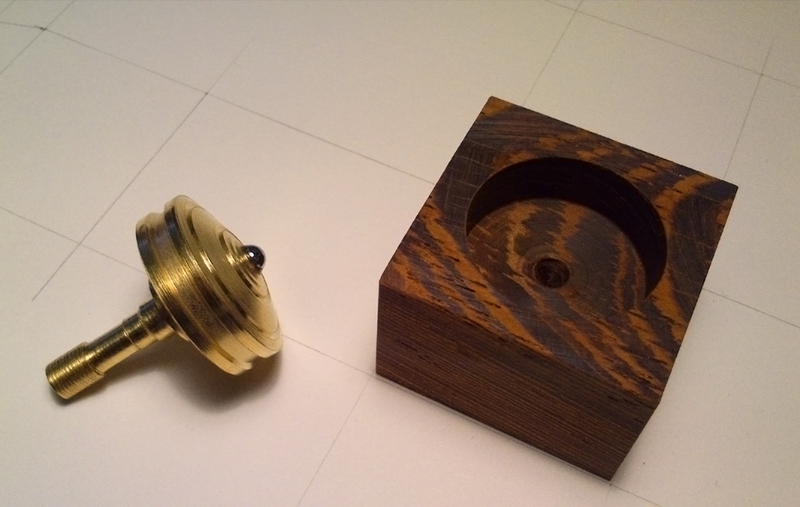 The solid block of the dark exotic wood is drilled with a 25mm diameter hole and another 4mm hole for the tip – to guarantee a snug fit – and I carefully sanded them square on a disc sander.